There's a silent war happening at the box office. Kapamilya productions, one with a Kapuso guest, is competing for dominance at the tills. It's John Lloyd Cruz and Jennylyn Mercado's "Just the 3 of Us" versus James Reid and Nadine Lustre's "This Time" that opened on the same day (May 4th) in cinemas nationwide. After Day 1, Cruz and Mercado edged out JaDine by a small margin after TV Patrol reported that their movie earned PhP16 million pesos. In a report by MJ Felipe, the PhP16 million opening day gross report is quoted by Star Cinema. On Viva Films' official Twitter account, on the other hand, the producer of "This Time" reported that the third starring movie for JaDine earned PhP15 million. 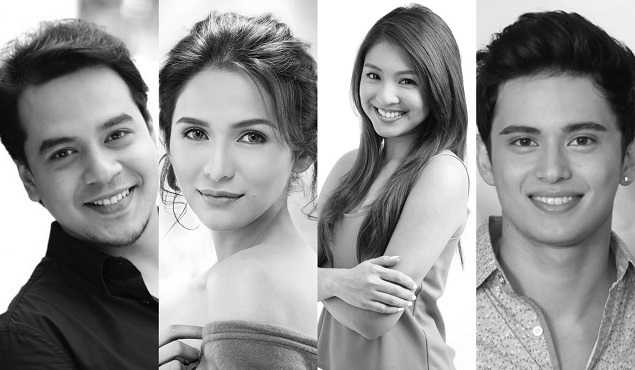 Viva Films tweeted: "Ang pelikulang TUNAY na panalo NATIONWIDE." Let's see if the trend will change in the coming days. James Reid and Nadine Lustre at This Time's premiere night in SM Megamall. 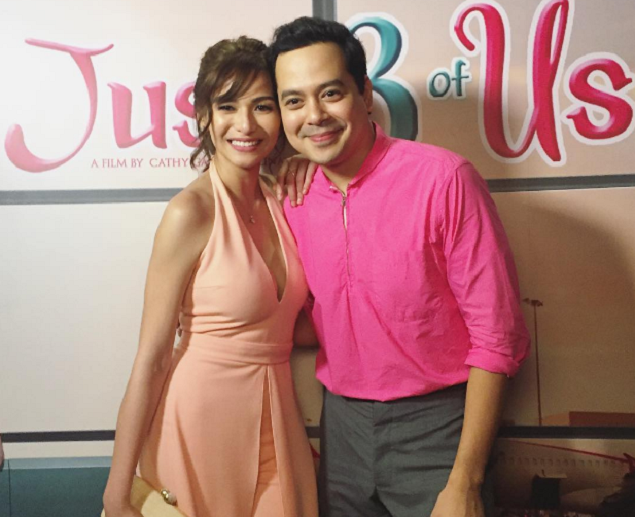 Jennylyn Mercado and John Lloyd Cruz at the Just The 3 of Us premiere night.